Why head to a crowded, freezing movie theater when you can enjoy the same experience at home? Or perhaps you would like to invite friends and family over to catch an important game or to watch a season finale on a large screen. Thanks to advancements made in home projectors, this is no longer wishful thinking. You are able to get amazing resolution right there in your home. 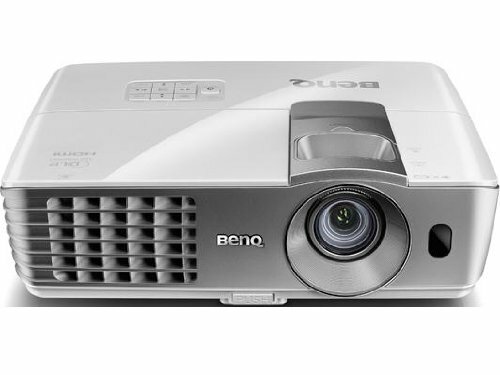 There is no denying that with BenQ who are getting some of the highest quality products available. This is proven once again with the W1070 projector. This projector offers up full HD 1080hp, ensuring that you are provided with the sharpest picture possible. What’s more, it is also equipped with 3D support, across various platforms. This includes Blu-Ray, HDMI, video games, and much more. This projector is also equipped with built-in speakers for optimal sound. It is definitely the ideal option if you are attempting to conserve energy. The SmartEco features ensure that your lamp is going to result in less energy consumption. This also means that it will require less maintenance. Overall, you can expect the lamp to last upwards of 6000 hours. This device is also compatible with numerous different devices. This, in part, is due to all of the connectivity options afforded with the projector. This is undoubtedly one of the best projectors you can get, as you will be able to experience absolute value for money. If you want vibrancy and brilliance when you are watching movies or TV shows at home, then this Optoma projector is for you. You will not be able to believe the absolutely stunning pictures that are projected. You are also afforded HD 1080hp which means that the images and videos will be intensely sharp. 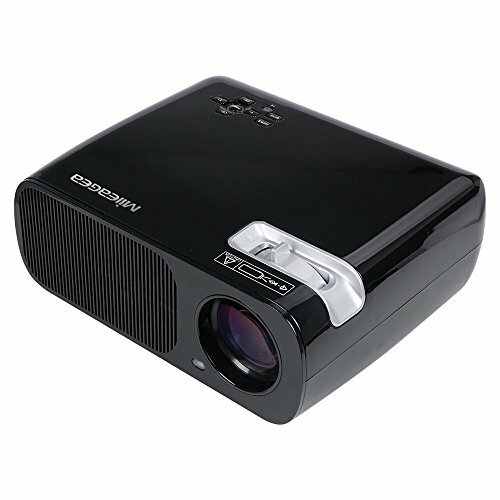 Even the highest quality videos will not have to be compressed as this projector is capable of displaying it with ease. It is also able to exhibit true 3D content. What’s more, it can do some from many different platforms game consoles and Blu-Ray players. Of course, what is picture without sound? Well, the Optoma projector has you covered here as well. It comes complete with its own built-in 10W speaker. You can also connect the project to a mobile device such as a smartphone or a tablet. It will instantly allow you to use it for presentations or for other viewing events. This projector has an impressive extended lamp life of 8000 hours. This means that you can use it for a short period of time every day and still not have to replace it for a long time. Due to the innovative features of the Epson home projector, the colors that you will be viewing will be up to three times brighter than most other devices. Also, thanks to the dynamic contrast ratio, you will no longer have to be lost if the video is especially dark. You will clearly be able to see all of the details. As with most modern devices, this projector supports HD 1080hp of widescreen performance. This is regardless of whether you are playing video games or watching movies. It is also essentially an entertainment system all on its own as it has a high quality speaker. Not to mention, it is really easy to install and begin using. 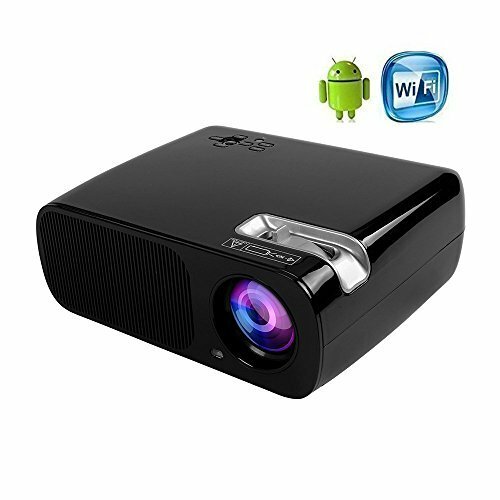 This projector supports Miracast and Intel WiDi. Therefore, you will not have to mess around with wires or cables. You can instantly wirelessly stream video from your laptop and mobile devices such as your smartphone and tablet. Of course, there are two HDMI ports which gives you an even greater variety of devices that you can connect with. If you are looking for a next generation home projector, then you will be making the right choice with this ICopter model. This is because it boasts a built-in Android 4.4 system. What this means is that you will be able to use the projector to browse videos online as well as download them. It will essentially be like you are using a magnified laptop screen. The system has a 1GB RAM and 8GB ROM supporting these features. In addition, it has 2600 lumens, contrast of 2000:1, and a native resolution of 800*400. This projector offers up great quality in all environments. However, if you really want to experience what it can do, it is best to do so in the darkest possible surroundings. The projector can easily connect to numerous devices including DVD players and laptops. With the HDMI cable, you can connect the projector to different game consoles as well. Last but certainly not least is the cost of the projector. 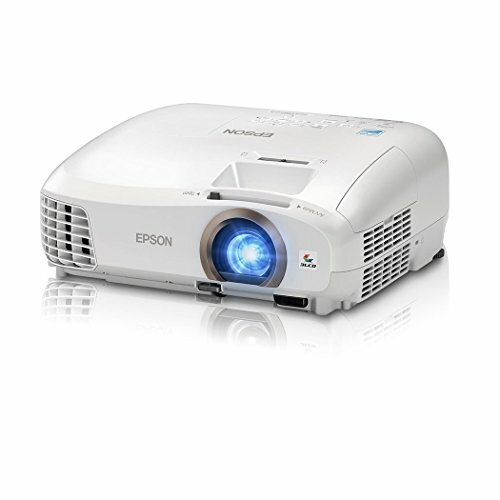 Especially when compared to other projectors, this stands out as one of the most affordable options available. Built-in Android 4.4 System with 1GB RAM/ 8GB ROM internal storage, large capacity enables you to directly browse online video and download numerous video,games,apps via WIFI. Projection size:32-200 inches,Projection distance:1.2-6M.You can focus the image by adjusting the gear on the projector,another gear is for adjusting the keystone.We suggest best Projection Size:50-100 inches; best Projection Distance is 1.5-3M. Five kinds of inputs for getting your favorite programs with a big screen. Enjoy videos entertainment by connecting the PC / Laptop / DVD Player; Enjoy games on big screen connecting PS3 PS4 via HDMI port. Ideal for family entertainment, share happiness with friends or roommate, video games, watch movies, play cartons for kids or child education, perfect performance in dark environment. It can be quite difficult to move around with most projectors. They tend to be a bit bulky and need to be handled very carefully. The Mileagea projector, however, is different. First, it is incredibly small, weighing less than two pounds. It will easily fit into most bags without any hassle, enabling you to carry it around with you. Despite its compact design, this projector is not lacking anything. It has a built-in speaker, USB port, and an internal battery. As it is a portable option, it does contain a rechargeable battery. This battery can also be used to power up other mobile devices as well. It is also well-built and tough, meaning that you will be able to use it for longer. Also, the projector does not shy away from displaying quality images. It is able to support both 1080i and 1080h resolution. You are also able to connect to any mobile device such as an Android smartphone or a tablet. It can also support gaming consoles. Overall, it really is an amazing little projector that can come in quite handy for someone who is always on the move. Native Resolution:800*600;Brightness:2600 Lumens;Contrast:2000:1;Default 1200 Lumens for longer Led bulb lifetime up to 20000hrs. Aspect Ratio: 4:3/16:9.It supports projection size from 30 to 200 inches, and the best distance is about 8 feet with projection size 80 inches. Built-in speakers and easy set-up seal the deal on this user-friendly experience. Ideal for home theater movies and video game use, PPT or business presentation is OK but not good for txt. Conclusion: This list sums up all of the home theater projectors that you could ever want or need. It does not matter if you are trying to find something that is a well-known brand, is hi-tech, or simply affordable. It is all here, just for you.